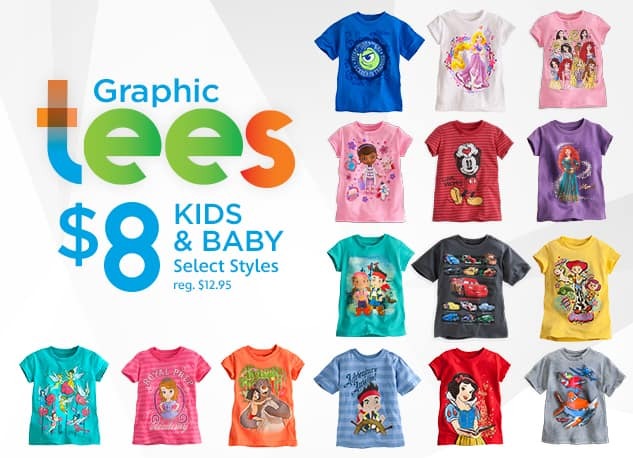 The Disney Store is having an awesome sale on Graphic Tees, starting at just $8 for Kids and Baby and $12 for Adults on select styles. I really like the Track my T feature they have on their website, which allows you to actually see your tee being made! It is very cool! 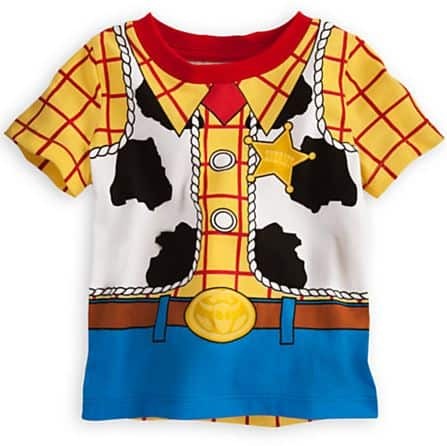 This Woody Costume Tee is $8.00 (reg. $12.50). A savings of 36% off! 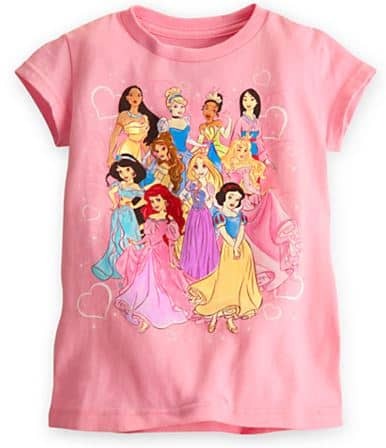 This Disney Princess Tee is now $8.00 (reg. $12.95). A savings of 38% off! 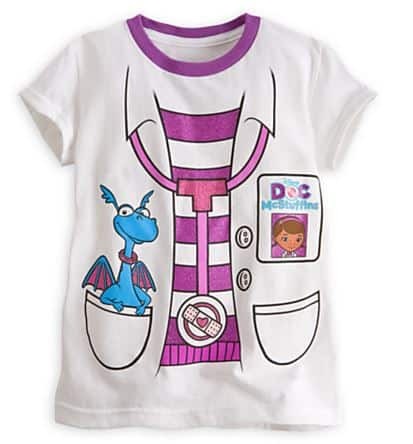 This Doc McStuffins Tee is now $8.00 (reg. $12.95). A savings of 38% off!